I’m already in love with The Lost Child, which is about an occult journalist (I think I’m in the wrong media genre... anyone want a rookie occult journalist to join their team?!) who meets a strange girl while investigating a series of suicides. She is adamant that the journalist lives, gifting him a device that lets him capture creatures. As a result, he finds himself in a world beyond our own where monsters and celestial beings abide. There, he finds dungeons (up to 99!) called Layers that he must explore and solve the mystery of the device. The Lost Child will be available physically (via a limited edition available only through the NIS America Online Store) and digitally for PS4, but will receive only a digital launch for the portable PS Vita. The limited edition includes a disc copy of the game, the official soundtrack, a hardcover art book, and collector’s box. Happy Manager sounds like it could be about an illegal massage parlour, but nope: you instead manage a small building with three apartments, each containing a different girl. And it’s your job to keep them happy. See? Happy Manager is totally innocent... until you see the girls, at least. These are the three tenants of Happy Manor. 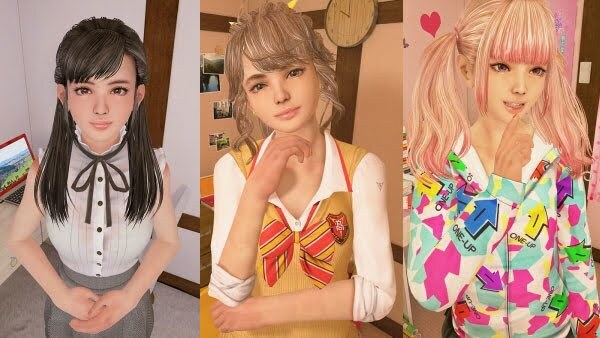 To the far left is Shizuka Sakurai, resident of 302, second-year college student who is currently into exploring her limits regarding alcohol consumption. In the middle is Barabara-Kristine Tachibana, the high school student residing in room 204. And to the right is unit 101’s resident, Himari Takeyama. She is a third-year college student and, as the eldest, the other girls rely on her advice often. Originally revealed at last year’s Tokyo Game Show, Happy Manager will be released in Japan for PlayStation 4 in January. There used to be a VR logo on its marketing materials, but that has since disappeared. Death Coming, or should we just call it Final Destination? Obviously we shouldn’t, because the developer clearly doesn’t have those naming rights – but Death Coming really does look like what I would expect from Final Destination: The Video Game. Developed by Next Studio, Death Coming has the player become a reaper following their own untimely death. Reapers must use the environment at precisely the correct moment in order to cause the worst/best kind of destruction. Planned correctly, multiple souls can be collected in a single freak accident. The world is filled with NPCs, and if you try but fail to kill someone their life will change to reflect the near-death accident. NPCs like their routines, so it is by closely examining each that you can learn what may be the best course of action towards murder. The main issue? Heaven. It’s always heaven. Angels patrol, making things safe for humans... but they can’t be looking all the time! The title is described as “a pixel art non-linear puzzle game.” Death Coming hits Steam Early Access this month. Square Enix just loves spreading its seed everywhere these days, so it’s no surprise that it's moved onto the Facebook platform for a tap title (although I do wish it was available as a normal release on iOS). 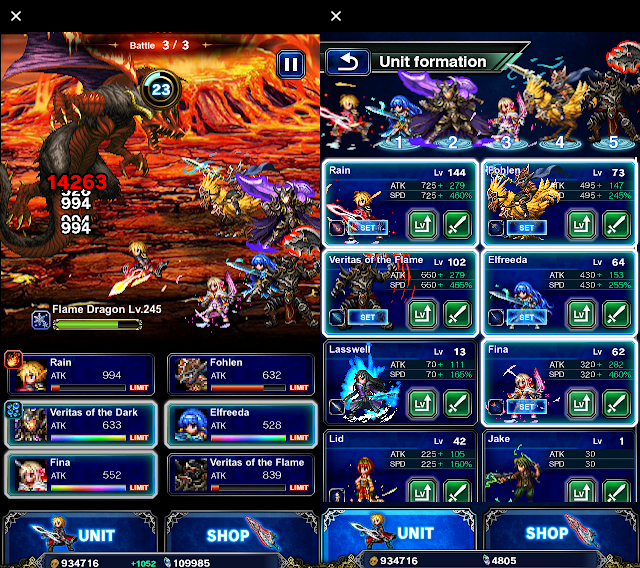 Final Fantasy Brave Exvius Tap! (the exclamation point is literally part of the title) is now available on Facebook Instant Games via Messenger and News Feed, and on both desktop and mobile. The game’s purpose is to give you something to do between browsing and chatting on Facebook. That’s a terrible purpose for a game. 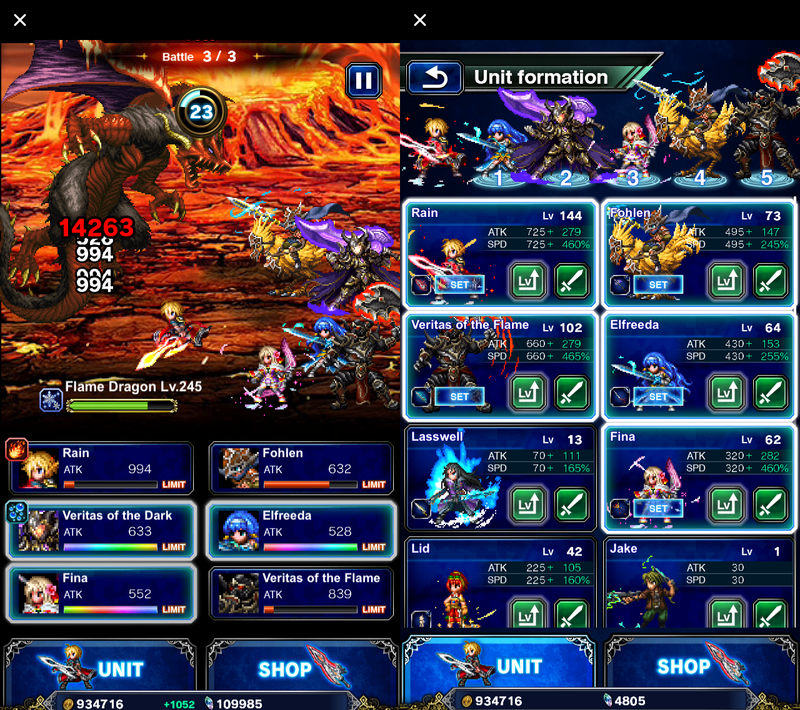 There are over a thousand stages to clear with 25 characters to unlock. There is an online ranking system so you can compare yourself to the other people that unfortunately fell into the trap that is anything with the name Final Fantasy attached. I’ve played BE Tap! for a bit, and I have obviously formed a strong opinion on several things. First, Facebook Instant Games is a terrible platform. Finding it in my mobile app is damn near impossible, and I don’t want to open Messenger to play a game as much as I don’t want to open the Facebook app. Secondly, the game is bland. Sure, it’s a tap game, so of course it is… but you think Square Enix would be able to spice it up a little. No. You’re tapping your way to the top of the tower. What the characters say doesn’t matter. Just tap tap tap level up tap tap tap. I’d call it a miss, but you’re welcome to see for yourself.